Naim Uniti 2 review | What Hi-Fi? Doesn’t time fly when you’re having fun? Amazingly, it’s three and a half years since the NaimUniti first saw the light of day. 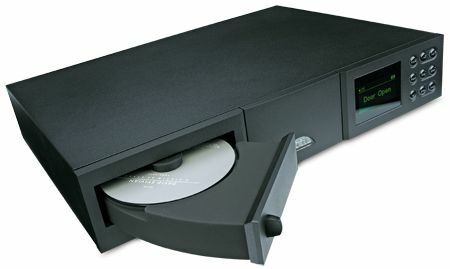 Naim traditionalists were horrified at this all-in-one CD/tuner/amplifier combination complete with network music streaming, but then they were more used to their CD players coming in two or three boxes, and their amps filling several racks, and if anyone mentioned streaming, people immediately thought lo-res MP3 files. Now no one’s saying the NaimUniti changed the world, but it certainly changed Naim’s world thanks to serious sales success in a market where the company had never previously had a presence, not to mention heralding a major shift in the home audio landscape. Reviewing the original model, we said: “This is the most innovative product Naim has ever made, and one of its finest: expect it to be a trendsetter”. And we think we just about got it right. Since then the Uniti range has grown to encompass the UnitiQute, UnitiServe and SuperUniti – and we’re sure Naim’s not done just yet. Along the way the products have been updated with firmware – and in some cases hardware – to bring on board features such as 24-bit/192kHz streaming capability, direct digital connection to Apple devices and compatibility with more audio formats, including Apple Lossless. In parallel, Naim has upgraded its nStream control app for the Uniti range, adding features and improving the user experience greatly, to the point where it’s just about the slickest around. Alongside the development of its Uniti range, Naim has constantly upgraded its free n-Stream control app for iDevices. The latest version, n-Stream 3.0, not only provides album and track information, and allows searching by a number of parameters including artist, album, title, genre and so on, it can also be used to build a play queue. Tracks or whole albums can be added to the play queue while you’re listening to them.Play queues can be saved as playlists and stored on any Apple, and even transferred to another iDevice via iTunes. And once a playlist has been ‘set in motion’, the Apple can be switched off and the music will continue to play on the Naim. Finally, n-Stream now draws on the Rovi database to bring the listener extended information based on the album or track being played. Touch the info button on the iPad screen and you can access what Naim calls a ‘virtual CD booklet’, with biographies, extra images, discographies, reviews and suggestions of similar albums, complete with links to access even more information from Rovi’s online database. On the iPhone and iPod Touch, similar information is available direct from the n-Stream app’s ‘Now Playing’ screen. So to the NaimUniti 2: what’s that all about then? More than three years down the line Naim rolls out a second-generation version of the original Uniti, and guess what? You’ll struggle to tell it apart from the first one. It still has CD player built-in, using that familiar Naim swing-out loader which actually brings the whole CD mechanism out to accept a disc, clamps it in place using a little black magnetic puck, and is locked down when you receive the unit using a transit bolt. It still has DAB/FM/internet radio, the ability to stream content from a home network at up to 24-bit/192kHz and a choice of wireless or wired Ethernet network connection. And yes, Naim still says wired is preferred, not least for its greater stability. What’s more it still looks the same, in Naim’s matt black non-resonant, non-magnetic casework – no Linn Kiko-style swoopy curves or choice of colours here. Mind you, who can blame them – we’ve seen the experimental silver finish Naim did on some of its separates for a customer some years back, and it looked just odd. But there is one giveaway to set Uniti1 and Uniti2 apart – that’s a mini-USB socket on the rear for firmware upgrades, in place of the original’s RS232. Not much, is it? Well, that’s because all the good stuff is inside. There’s a new CD mechanism and tray, Naim’s latest 24-bit/ 192kHz streaming board, and a new digital section using the Burr-Brown PCM1793 DAC – those last two combining, says Naim, to give lower distortion and better dynamics. On the analogue side, the most significant change is an upping of power to 70W per channel – the original did 50W a side – along with improvements to the analogue board and the use of a larger power transformer to accommodate that increased power. We had an original NaimUniti to hand – albeit one fitted with the latest updates as they appeared over the past three years – and listening to the two showed that while the new model retains all the ‘Naimness’ of the original, there are significant improvements to the sound. Yes, it’s still fast, dynamic and powerful, but it’s also rather more refined, with a crispness and clarity to the way voices, the leading edge of instruments and high percussion is presented that makes the old model sound just a bit loose and rough. Of course, there is nothing wrong with the old NaimUniti, but rock cymbals and tuned orchestral percussion has a bit more sting and clarity of tonality, making the old model seem marginally blurred by comparison. Similarly, the upgrades have brought even better character to voices and solo instruments, whether playing music from CD or streaming from a network, which it will do in just about every format, gaplessly. There’s greater detail in evidence too, from the-catch-of-a-breath way a finger or plectrum hits a guitar string, while the bass is tighter and more convincing, giving music a cleaner sense of propulsion and drive. But the advantages don’t end there: this cleaner, faster sound is just as effective with a string quartet as it is with more obviously rhythmic music, making individual instrumental lines easier to follow while still preserving the overall flow of a piece. What’s also clear is that the step-up in power, plus the larger supply it has brought, gives the Uniti 2 better control over loudspeakers, revealed in the improved low-end clout when playing everything from rock to large-scale orchestral music. There’s better texture in the bass and, with those symphonic double basses, a rather more satisfying growl. The differences between NaimUniti and NaimUniti 2 aren’t sufficient enough for us to suggest that owners of the original (provided it’s been updated) should flog their pride and joy and switch to the new one. However, what the changes have done is ensure the product stays more than on the pace in a market it more or less created, and in which it faces an ever-growing range of competition.